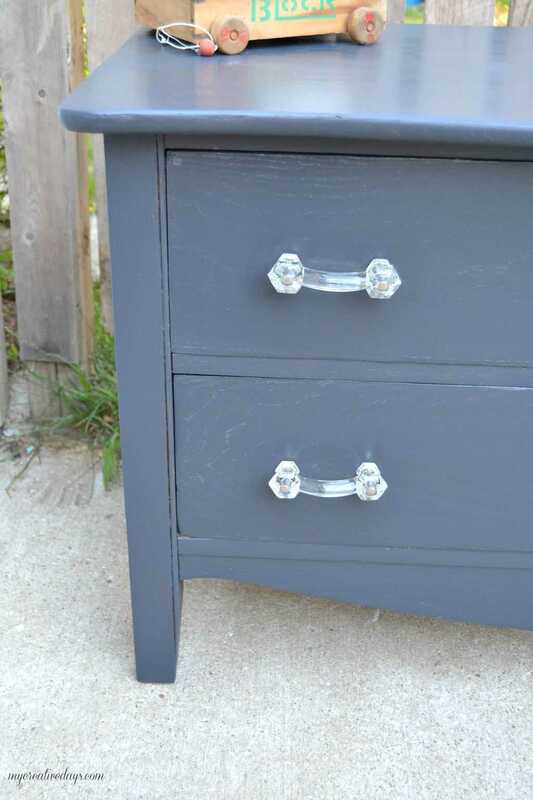 This Small Black Dresser Makeover is all about the vintage glass pulls I was able to salvage. Sorry, I had to do that. 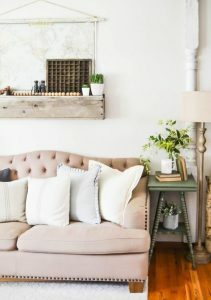 As soon as I starting thinking about writing this post, that was stuck in my head because this makeover is truly all about the drawer pulls. A few weeks ago, I shared a picture on Instagram of some of my recent finds. This piece was one of them. Nothing too fancy, but something in desperate need of some TLC. It had been sitting in a basement for MANY years and I knew I could bring it back to life. When we got it out of the basement, we noticed that it didn’t have a back on it. That was an easy fix. Hubby cut a thin piece of wood we had in the garage to fit the back. When he was nailing it on, he noticed a paper bag on the back (you can see it in the picture below). It had one, small piece of wrapping paper in it with a receipt. I love finding treasures like that. It gives a glimpse back in time when things were a lot simpler. Can you imagine going to the local dime store today and picking up one piece of wrapping paper for 35¢? 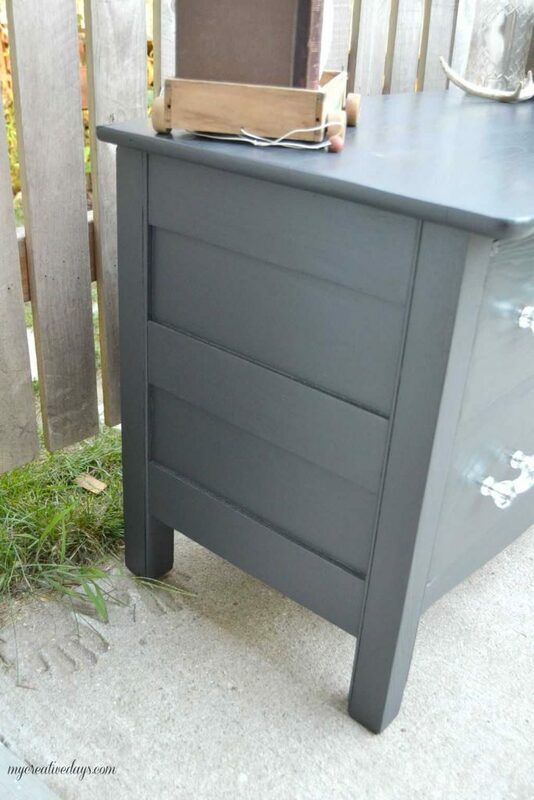 This small black dresser makeover was pretty easy after the back was put on. I washed it and then put three coats of “Luxurious” paint from Velvet Finishes on it. Then, I started working on the drawer pulls. I thought the pulls were plastic. That is how bad they were coated with dust, dirt and grime from being in a basement so long. Even after I took them off, I thought they were plastic! I thought I would clean them anyway and see how they turned out. A little bit of Dawn soap in my kitchen sink and these pulls were glistening. 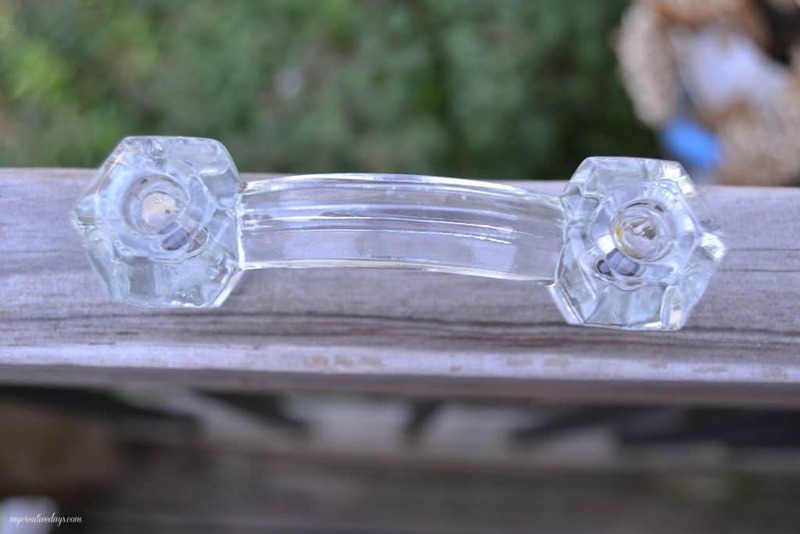 They are glass pulls! I can’t tell you how excited I was about them. 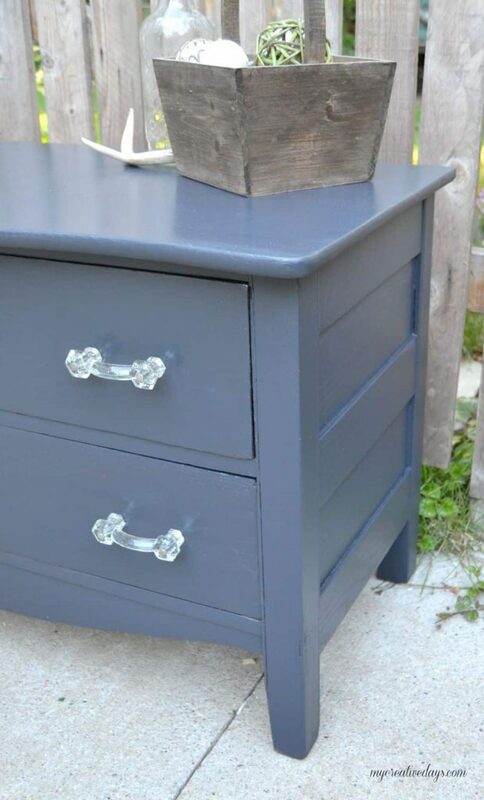 The drawer pulls are the perfect “bling” for this “luxurious” dresser. I could not be happier with this makeover. 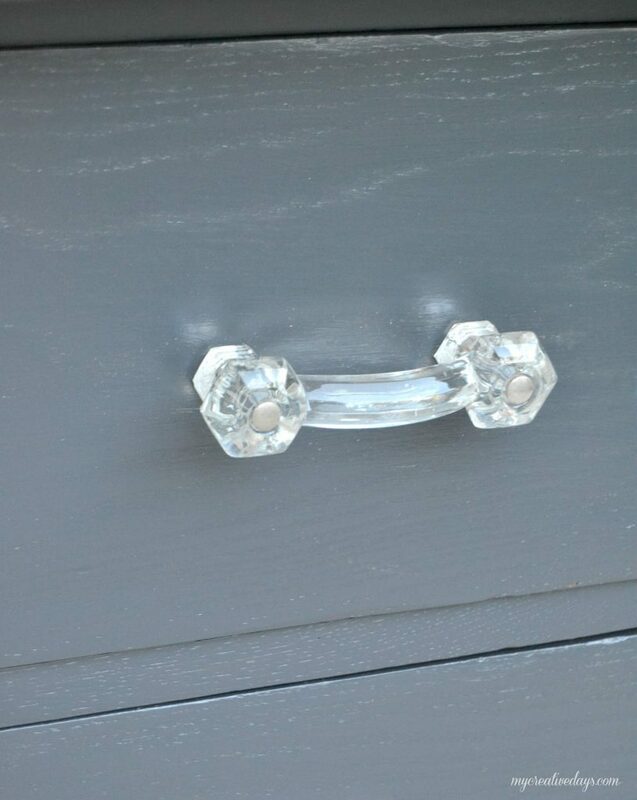 I would love to find more glass hardware like this for all my makeovers. 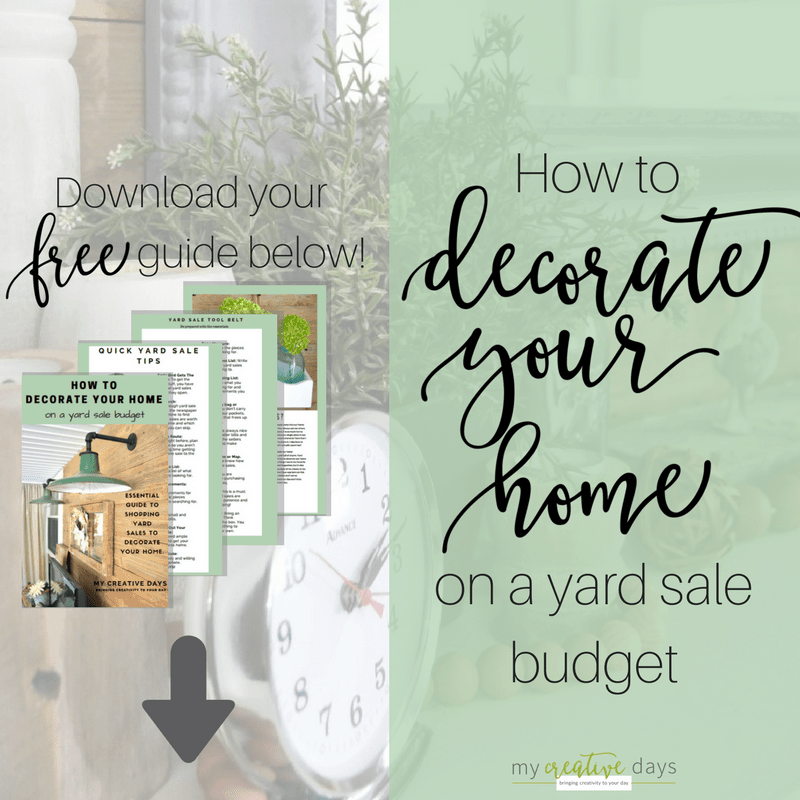 It is so pretty and goes with every style and color. My neighbor is the new owner of this beauty. 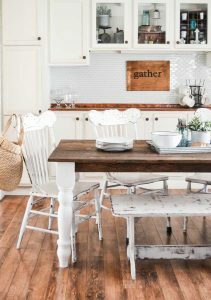 She is using it in her dining room to house school supplies and other things. I am glad it is close so I can see it when I need a little “sparkle” in my day. I love the color and the glass pulls go perfectly with it! Thank you Jeanette! The pulls are amazing! 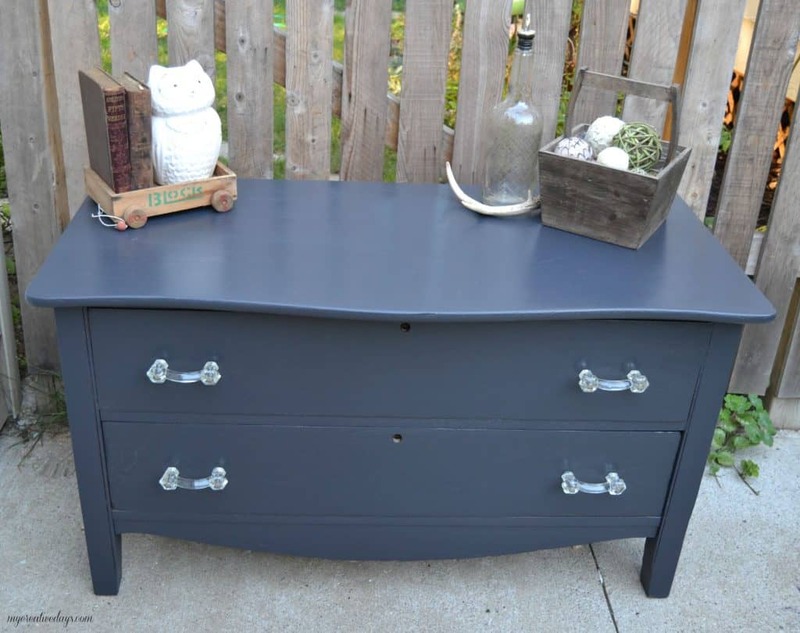 Oh how gorgeous this turned out – love the color and those handles are just perfection ! The handles are amazing! Thank you! I love what you did with the dresser. 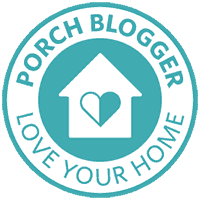 I found your blog while looking for inspiration because I am wanting to spruce up old coffee tables and end tables that I have in storage. 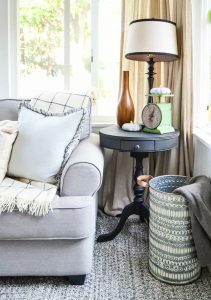 Seeing your makeover helped me realize that I am not “crazy” because I want to give life to small furniture that people have gotten rid of…..
Oh my, what a nice surprise discovering those pretty handles were in fact glass. 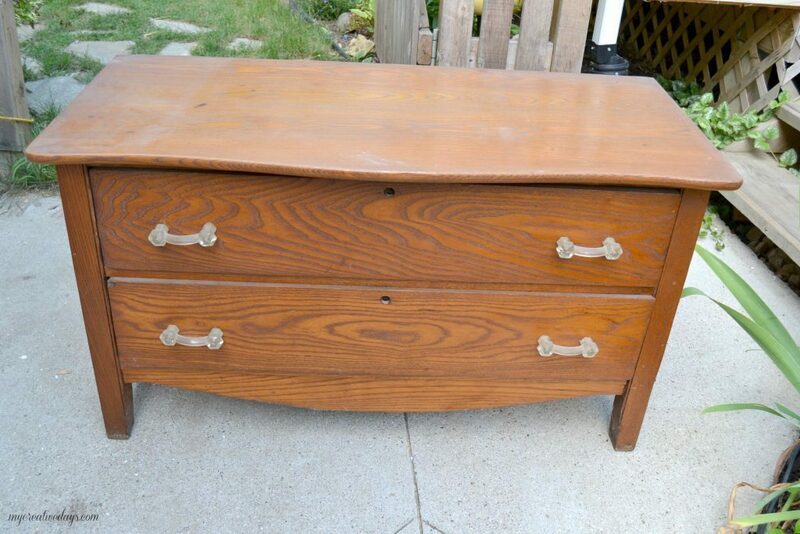 They are the icing on the cake on this pretty dresser! They are Marie! Thanks for stopping by! 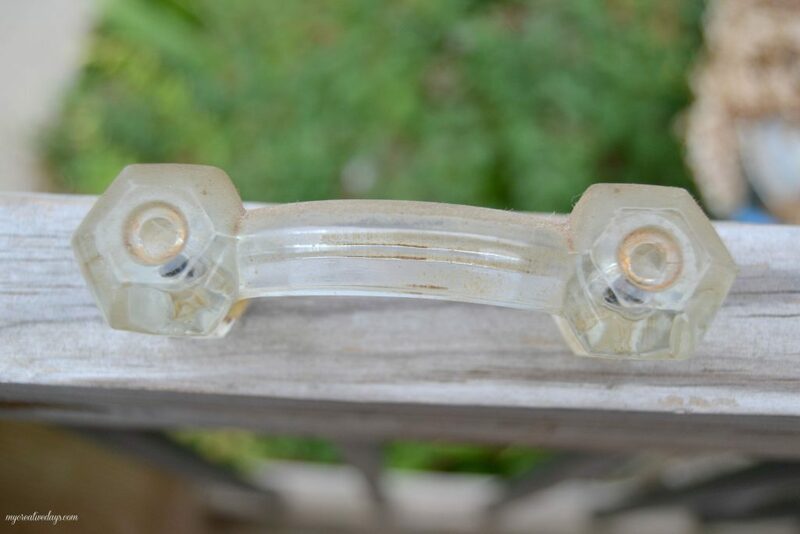 Can anyone tell me where to purchase the glass hardware? 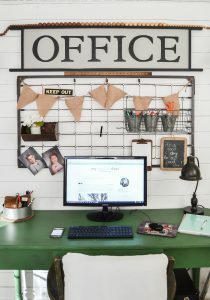 It was original hardware to this piece, but someone told me they have similar knobs at Hobby Lobby. I have not been there to check it out yet. 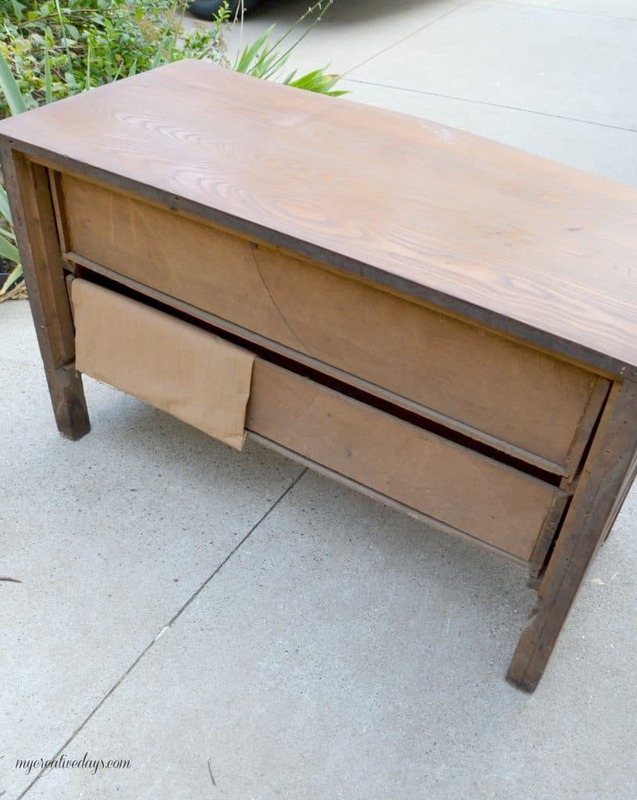 what color did you use to paint the dresser?